Have you been thinking lately how Energy (life-force) impacts our body, mind, and emotions? Then you must read the following to understand it better. As we have already discussed and explained about the Energy (life-force) and its connection with “Reiki” in previous shares, we would take this discussion further from here about how this energy flows through our human body? The life force energy is like electric current or electromagnetic force which flows through our body to keep the life-force organized and alive in our body which ensures our Existence, Health (physical, mental, emotional and spiritual) and well-being. This life force is governed and managed by the 'Chakras' in our energy or subtle bodies (The Energy Vortex) like we have circuits points to enable and ensure accurate flow of electric current, same way these chakras are vortex points are to manage the flow of energy life force in our bodies keeping us connected with the energies of Mother Earth and the Universe. If we elaborate in modern scientific expression, our physical body is like a “Hardware” and our mind is like a “Software” with further classification into ‘Conscious mind’ which works as a front-end application (GUI) and the ‘Subconscious mind’ which works as a ‘Firmware’ (the coding, updates, upgrades to keep the software up-to-date and in compliance with the latest challenges and technology). These ‘Chakras’, may get ‘Active, Underactive, Blocked or Overactive’ hence affecting the free flow of the energy life force throughout all our bodies (physical, emotional, mental, energy (subtle) body) hence causing disease (Dis-Ease). This disease can be physical disease, mental disease, emotional disease or energetic blockages such as anger, anxiety, illness or fatigue, tumors/cancers, depression or low confidence, financial blockages, karmic blockages, negative energy, fears, guilt, negative beliefs, entities, negative thoughts or attitude towards life manifesting negative circumstances or events in our lives. The symptoms can include other factors or related disease functions also, however, we have tried to capture the most common disease or issues prevalent and reported by our clients. 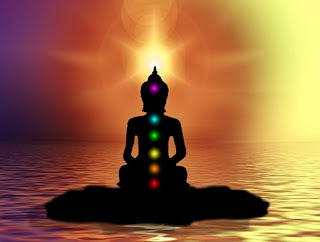 These chakras may also have deep rooted issues/energy blockages or energetic cords connected to a person, situation, fear, belief, traumas, and places or sometimes your past lives including present life events. The blocks here can be deep mind conditioning since many past lives, present life and situations, experiences, upbringing, belief systems which can affect the free and smooth flow of energy in our bodies through these energy vortexes called Chakras. 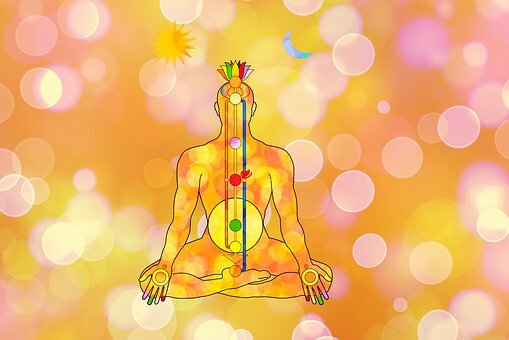 The issues related to chakras sometimes require root level work/healing depending on internal psychology, subconscious/subliminal mind programming with specific beliefs or fears. We will take up the 7 Chakras and how they impact our lives topic in detail in our upcoming post. Love, Light, Peace, Gratitude and Blessings to all…!! !